Published on 18 January 2019. 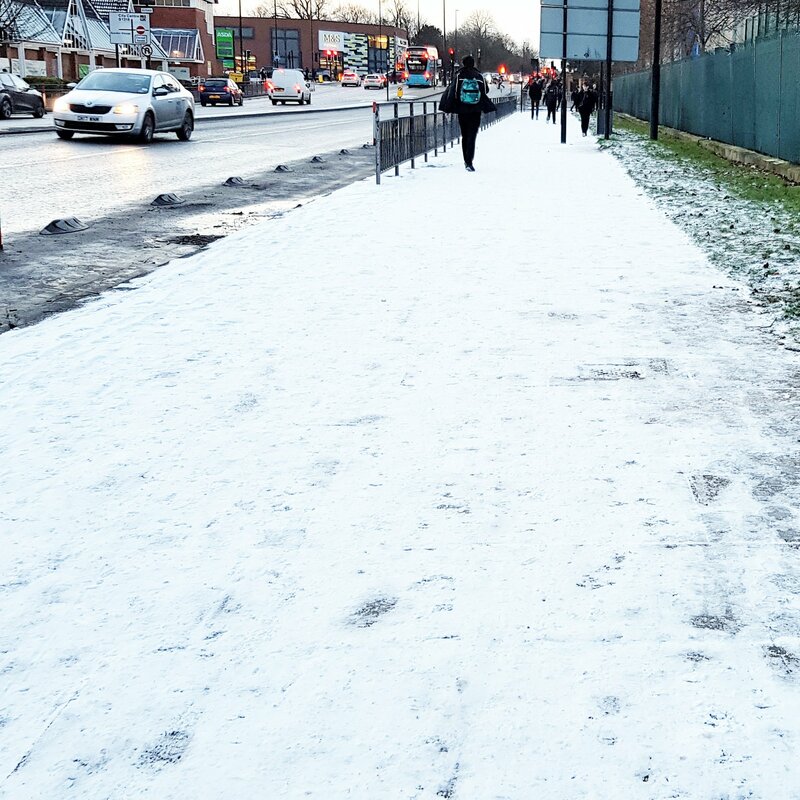 Untreated pavements covered by compacted snow present quite the challenge to someone as clumsy and uncoordinated as me. As a result, I have to miss my usual morning stroll to work and hop on public transport instead: not nearly such a relaxing start to the day. Though as much as that frustrates me, I’m lucky that I’m not so unstable or vulnerable that I feel unable to leave the house, which must apply to a great many people under these conditions. This 2,357th post was filed under: Photo-a-day 2019.